Wizard World Comic Con Coming to Philadelphia! The first weekend in June is right around the corner and you absolutely know what time it is! Wizard World Comic Con is coming back to the Pennsylvania Convention Center with a lineup that is sure to entertain! 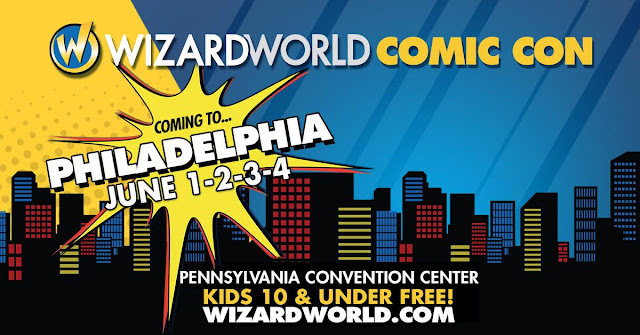 Whether you're a Star Trek, Star Wars, Buffy, or Sci Fi fan, Wizard World Comic Con in Philadelphia is the place to be! For more information and guest line up, visit the Wizard World Philadelphia website.